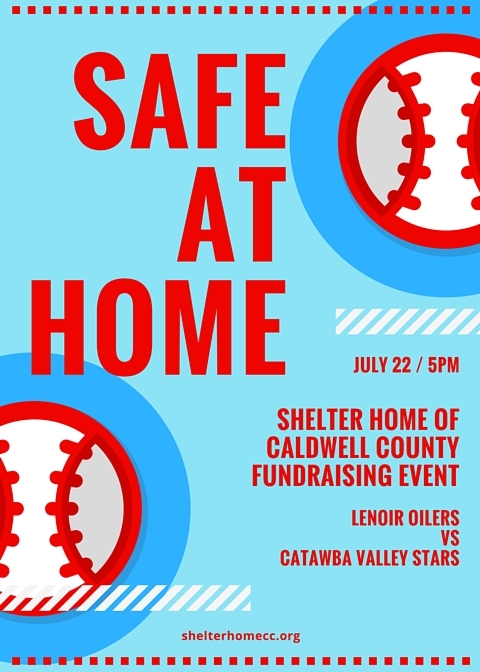 Shelter Home of Caldwell County and Lenoir Oilers have partnered together to conduct a community outreach event; Safe At Home, on Friday, July 22nd, at Walker Stadium. Game time 5:00 PM. Join us for a fun-filled evening to support families being "Safe At Home."